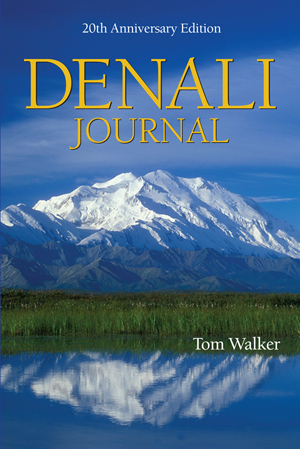 In this 20th Anniversary Edition, Denali Journal, returns by popular demand. With select updates, this classic celebrates Denali National Park & Preserve, its wildlife and natural history in a lively, unique way. On these pages the reader encounters bull moose sparring for dominance; grizzly bears facing off against wolves; lynx hunting snowshoe hares; and the ever-changing seasons of the sub-arctic. No aspect of the natural world goes un-recordedfrom delicate orchids to soaring mountains. Denali Journal focuses on the area adjacent to the Park Road where most visitation occurs, highlighting the peak visitor months of June through September. Some historical and seasonal information is offered to provide background and perspective. The journal format invites the reader to begin reading anywhere. Denali Journal compares in quality to the best of Alaska nature books and gives a historical dimension that often is lacking in such literature. A wonderful book that is thoughtful, but not esoteric, self-centered or too technical. Walker is a watcher, an honest viewer of the affairs of wildlife. Bill Hunt, retired NPS historian. Especially useful for anyone planning a trip to the park. Highly recommended for all general collections. Mary J. Nickum, U.S. Fish and Wildlife Service. Only someone who has lived close to the land to see past its massive gorgeousness could locate and relate some of these smaller, but just as marvelous, natural wonders. A fine, readable book. 6x9 INCHES. 192 PAGES. ISBN #978-1-4507-0066-5. $19.95 PLUS POSTAGE. THE BOOK FOR LOVERS OF WILDLIFE AND WILDERNESS OF DENALI. Denali Park, Alaska natural history, wildlife and people.